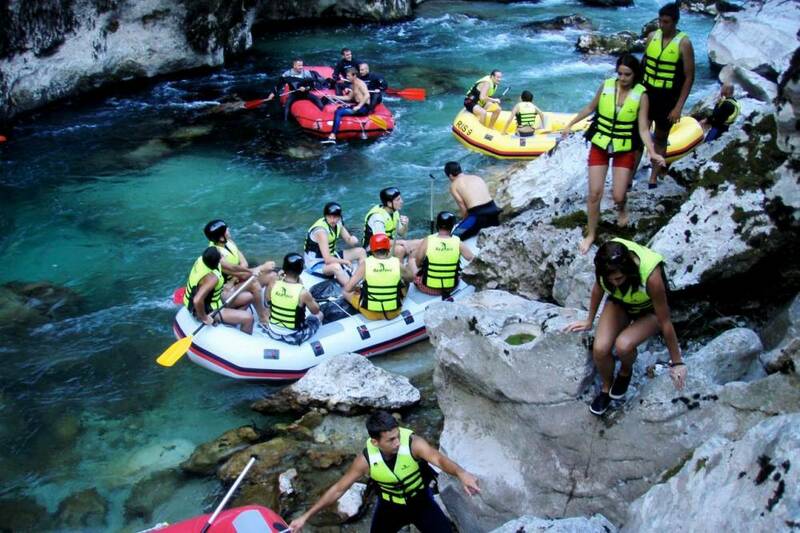 Rafting tour includes the bus ride through the stunning, unspoilt nature, the so-called 'Wild Beauty' of Montenegro and an exciting rafting trip by inflatable boats through the second deepest canyon in the world. On the way from your hotel to Scepan Polje, where the rafting begins, we take the narrow streets up to the raw mountains of Montenegro, passing by the charming Pivsko lake. This artificial lake is surrounded by forested mountains that reach up a height of almost 2000 m above the sea level. 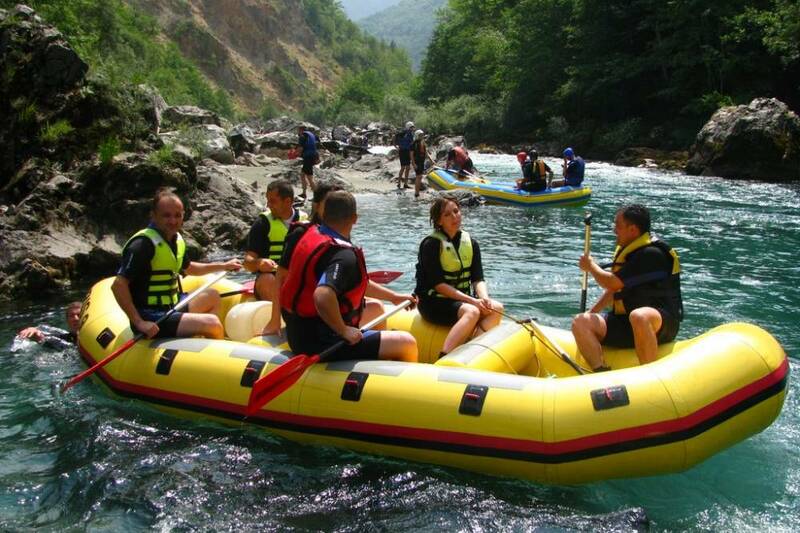 Before the rafting tour on the river Tara beginns, a generous breakfast with Montenegrin specialties will be served. Let the adventure begin. Tara river, „the Tear of Europe' invites you to discover its rapids, springs and waterfalls. Experience the power of the river. Take a dip in the turquoise blue water. Enjoy the sounds of the unspoilt nature. After this exciting tour you will for sure enjoy the traditional Montenegrin lunch. If you decide to join such an adventure, you will remember the beauty of this wilderness, embedded in the pristine nature, for life. 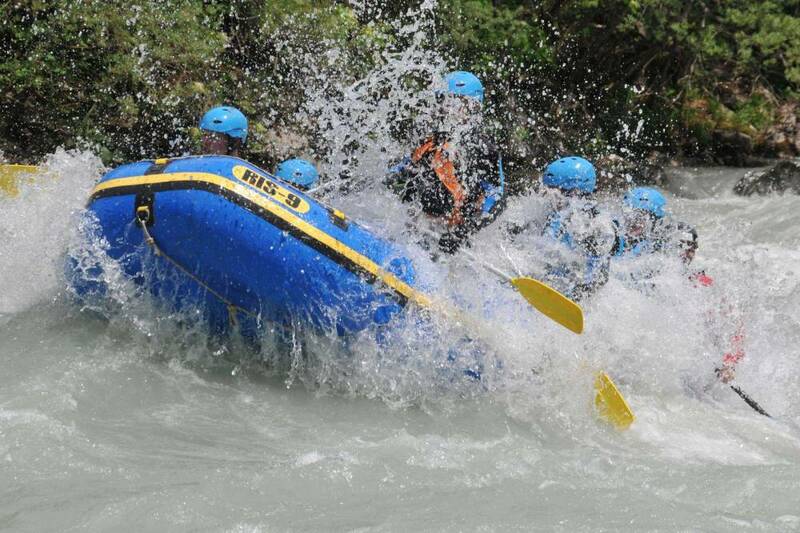 For those who love adventure, excitement and direct contact with unspoiled nature, rafting on the Tara River is a memorable experience. The Tara river, the longest river in Montenegro, emerges from the confluence of rivers Verma and Opasnica. Then it meanders over a length of about 140 km through the highest mountain regions of Montenegro and cuts the longest and deepest canyon in Europe. You will be picked up at your hotel. Before we start with rafting, we will have a delicious country breakfast at Scepan Polje, located on the confluence of the Tara and Piva. Subsequently we will be driven by cross country vehicles to Brstanovica, the starting point of your rafting tour in Durmitor National Park. Once we arrive there, you will be explained the safety regulations and then we can get started. 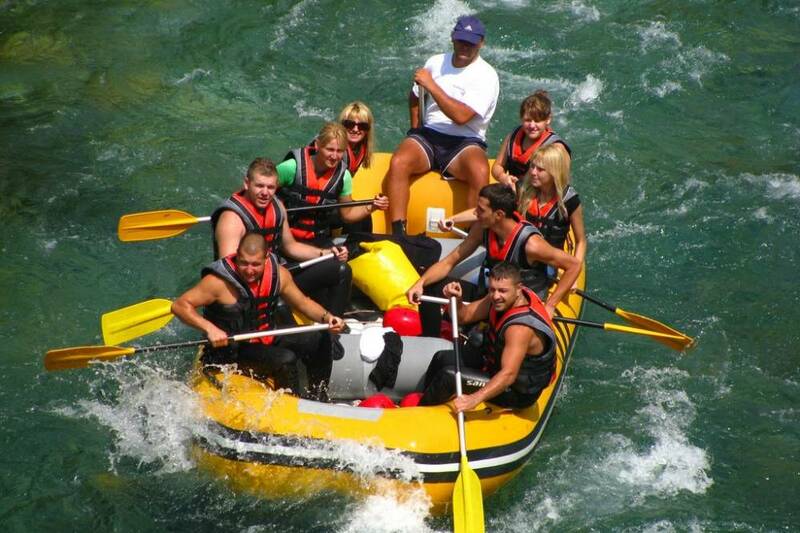 For safety reasons, each passenger is obliged to wear a life jacket and a helmet. 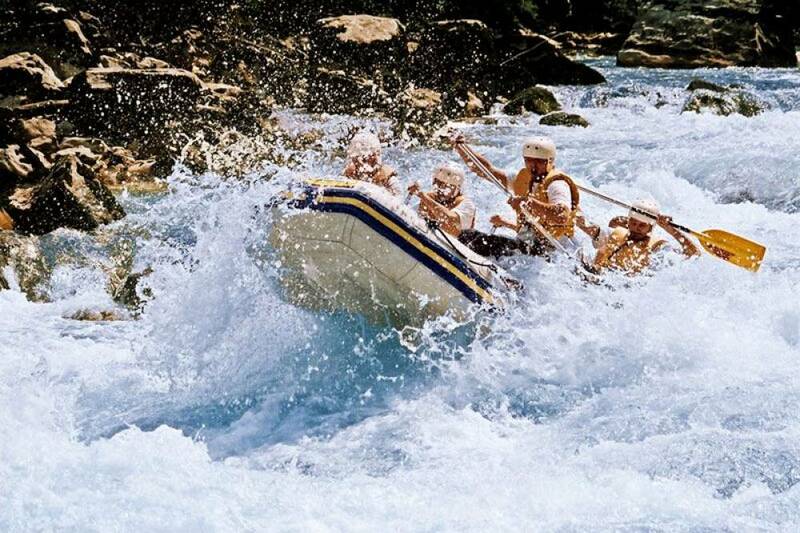 At around 18 km ride that lasts 2 to 3 hours, you pass 21 rapids until you arrive again in Scepan Polje. This shortest, but the most exciting part of the Tara canyon, has got the largest altitude difference between the point of depature and arrival. During the tour we will take a break at several places, so you can also take pictures of your adventure. Time for a swim in an idyllic waterfall is also provided. 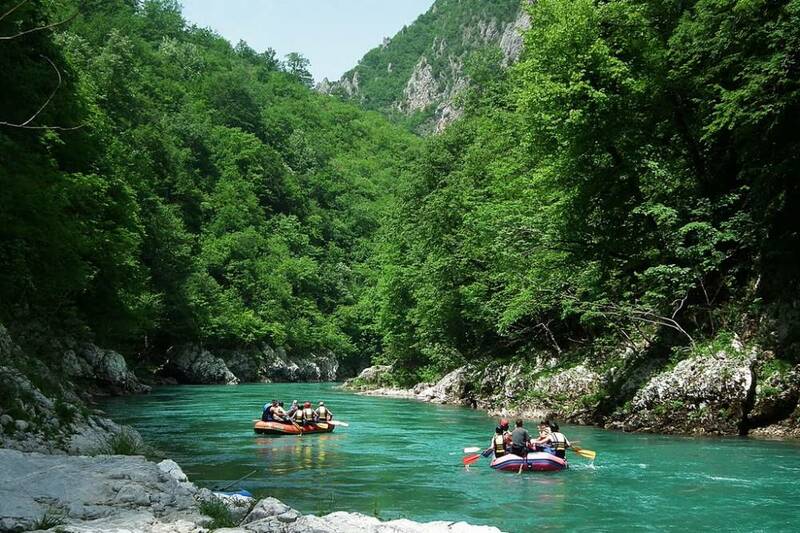 Tara ends in Piva River, as well as our adventure on this trip. 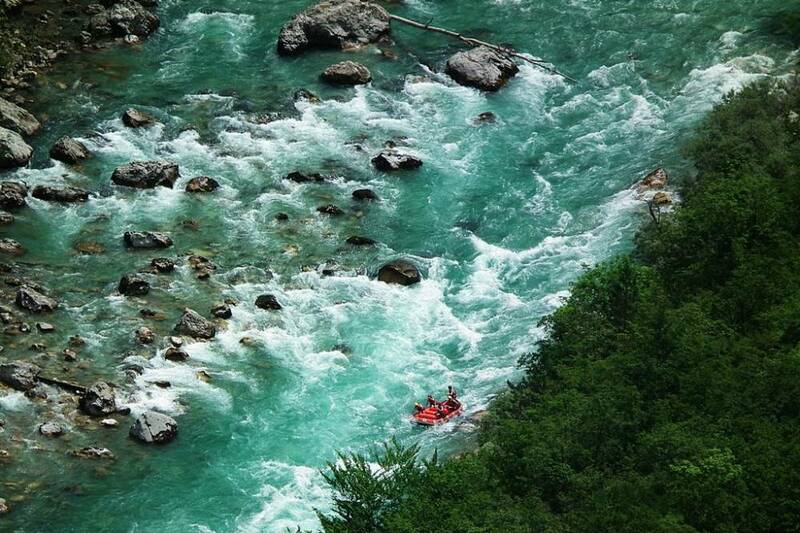 At the end of the rafting you will have a lunch of local specialties such as roast lamb or river trout. Once you have satisfied all your senses, we go back to your hotel. 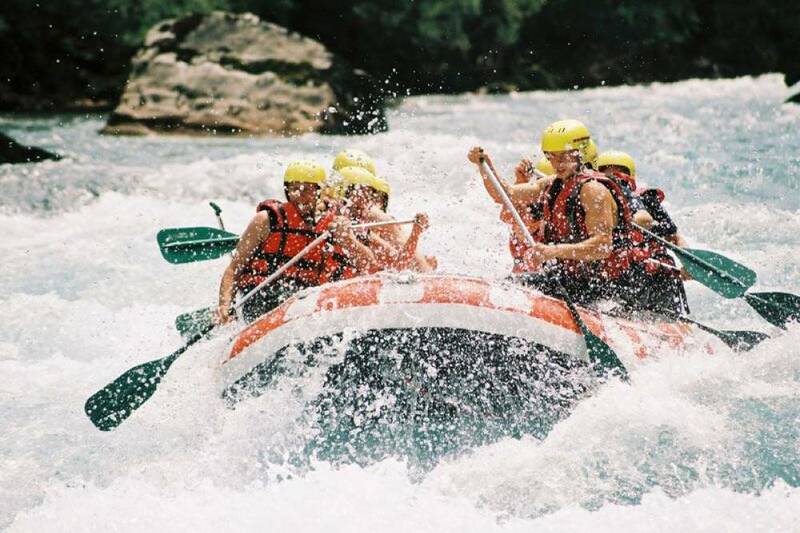 Rafting on the Tara River from Brštanovice to Scepan Polje -18 kilometres of beautiful scenery and 21 challenging rapids, takes 3-4 hours.